I don’t know what possessed me to get another kombucha drink. I could swear that Whole Foods employs siren-esque enchantments in their stores. But, I also figure that it could’ve just been that one brand of kombucha drink that happened to have a terrible product in their line. 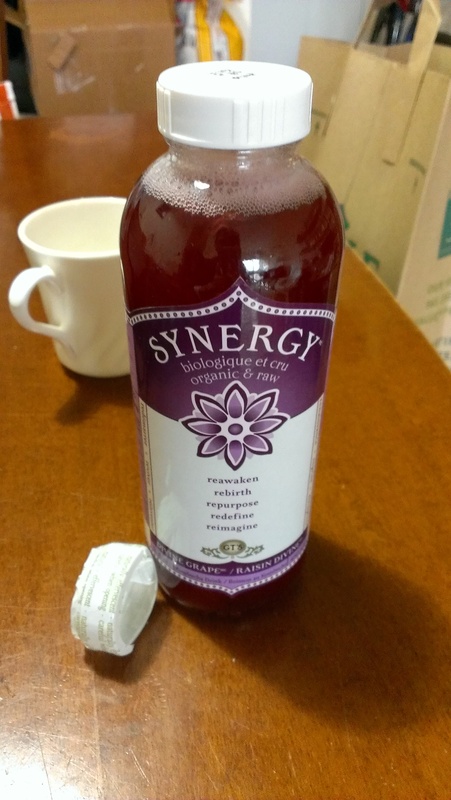 So, I picked up a bottle of GT’s Kombucha Synergy in Divine Grape because I also wanted to drink something with grapes in it and it wasn’t socially acceptable to drink wine at that time of the day. It’s a lovely bottle with fantastic branding on it. 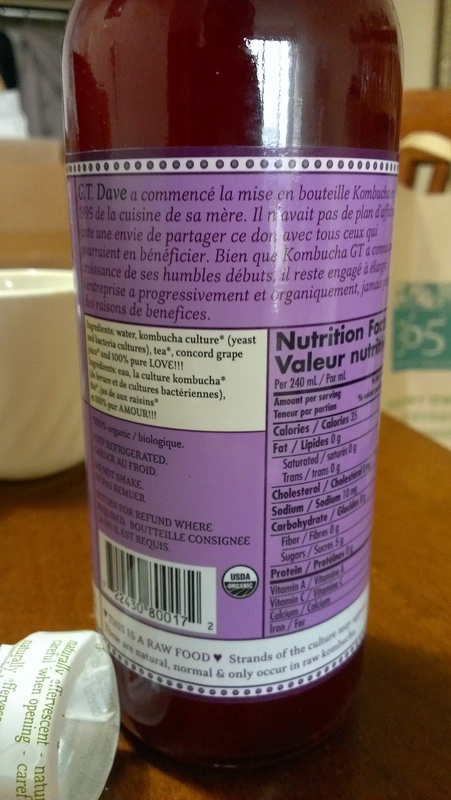 But, I’m a bit confused about why GT’s Kombucha doesn’t list their grape version on their website anymore. Yay, kombucha culture that includes both yeast and bacteria! Fun! It’s also good to know that it’s both organic and RAW. So… This means I’m drinking live culture. Delicious. 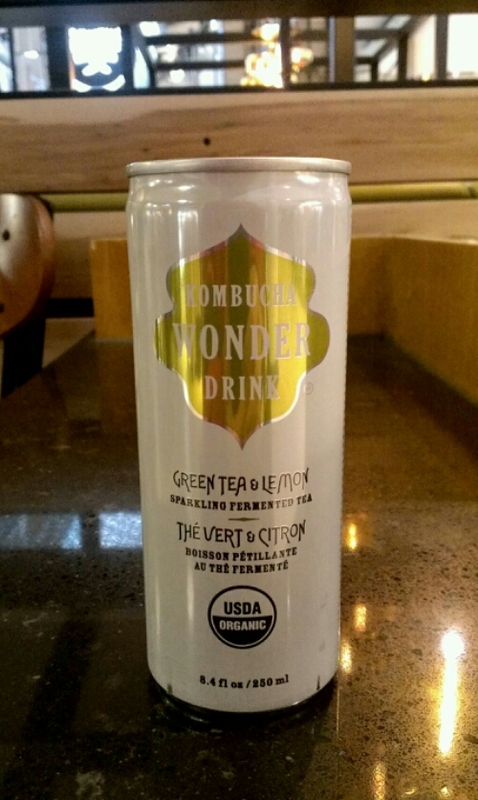 I’ll have to say that it does taste better than the Kombucha Wonder Drink I had before. This one is actually palatable and doesn’t make me want to gag! They used the right amount of concord grape juice to make this version sweet enough to mask the majority of the kombucha culture, but it still leaves that odd, I-just-drank-the-dregs-of-a-keg fermented taste in my mouth. I feel like the juice also masks too much of the actual tea that they used. I don’t know why, but it feels so disjointed to call this a “tea” when it tastes more like grape juice with yeast in it. Just like cheap wine! Verdict: 2/5 If you can’t tell by now, I don’t know what to say. It tastes better than the other one, but I’m sure now that I definitely won’t be a regular kombucha drinker. 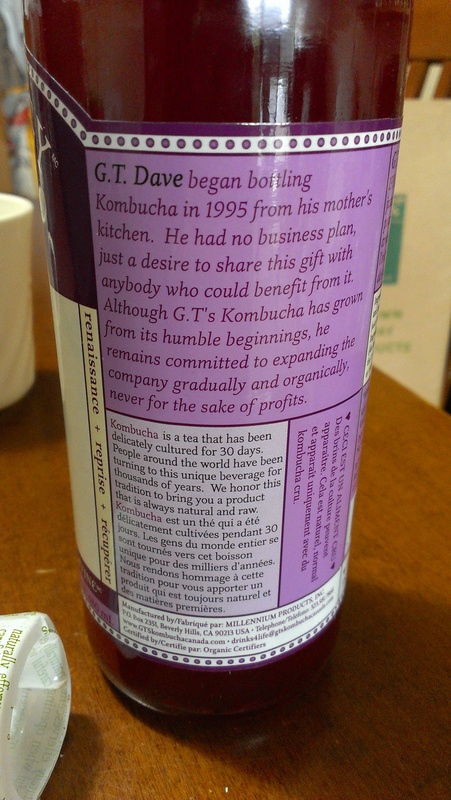 Do you like kombucha tea? What other health drinks do you like? This post is so late! Gah! Here’s most of the April Tasting Box! Yeah, I kinda already had the pasta sauce and, no, I’m not sorry I finished it already. Tasting is believing! 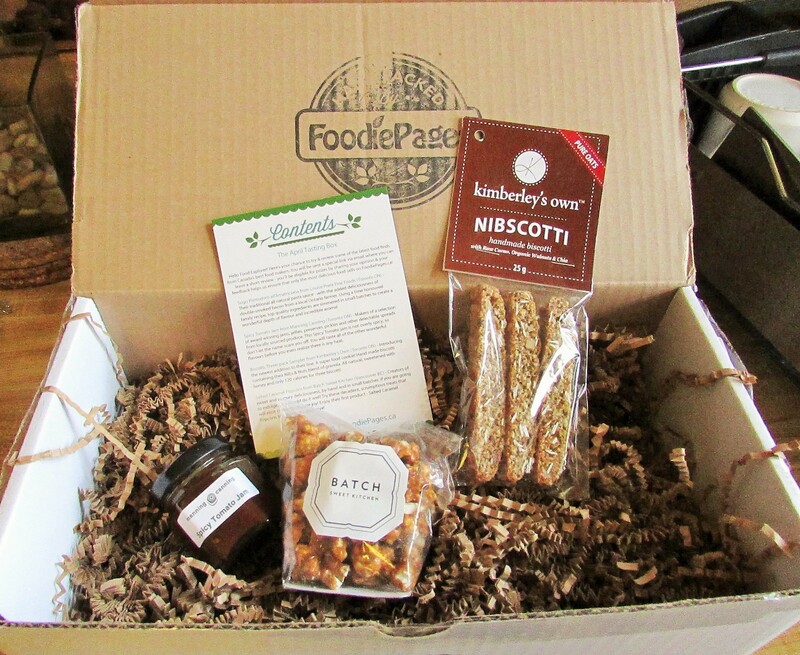 The TASTING BOX includes 5 scrumptious tastes to enjoy, made by our favourite Canadian small batch food artisans and delivered directly to your door – a different box each month. The TASTING BOX is the perfect opportunity to discover and sample the culinary talents right in our own backyard! Only 50 TASTING BOXES are available each month, so order yours today! It’s $14.95 + shipping for a box, so people in Ontario and Quebec get it for around $22 or so after tax. This month, they sent a HUGE box because of the pasta sauce! This time, there was only 4 items in the box, but that jar was HUMONGOUS! As you can tell by the absence of a product, we finished it ALL! It was really delicious with a good balance between sweet and savoury flavours between the Italian tomatoes, fresh herbs, double smoked bacon and that little touch of chili flakes. It was a little more watery than I like in a tomato sauce (I seem to like my foods and sauces on the thicker side), but it goes super well with mushroom pasta! It has a really good spreadable consistency, which would be great with crackers at a party! 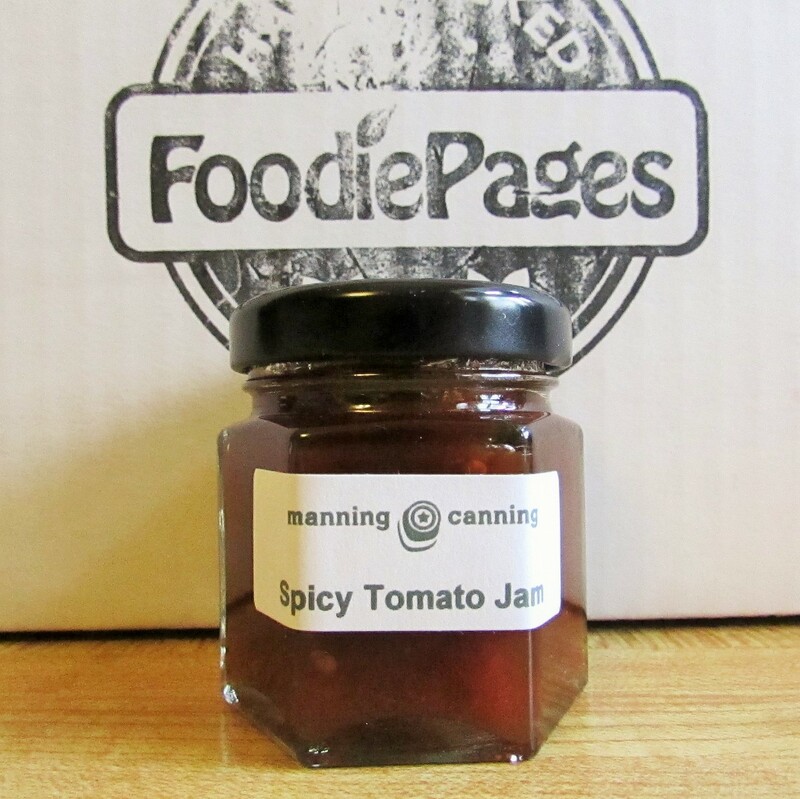 Even though it’s a tomato jam, it’s actually pretty sweet! It reminds me of a really fancy ketchup with a pretty strong molasses-y scent that probably comes from the cloves and cinnamon they put into it. I found it to be a little spicy at first but it faded away pretty quickly with the sweetness taking over and then made way for the more subtle flavours like the tomato, ginger and lime juice. I may have to try and pair this with a cheese of some sort. I’m not too sure what the pricing is on this since it’s not listed anywhere! 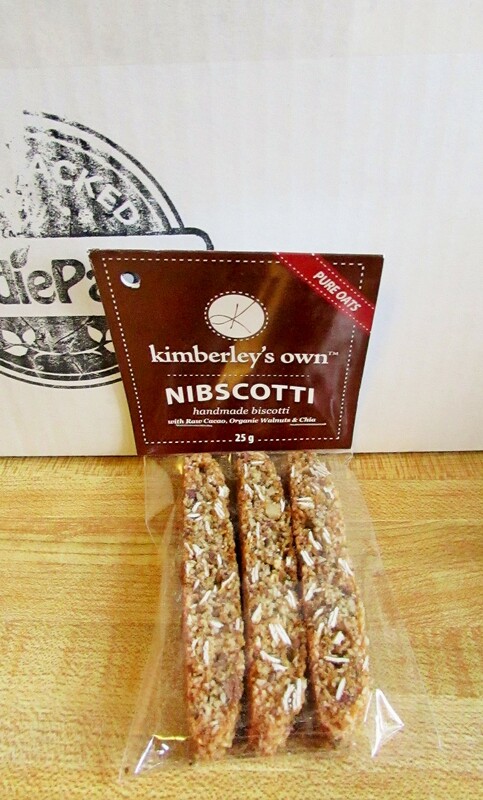 They’re handmade biscottis with raw cacao, organic walnuts and chia. It may not be completely gluten free because oats generally carry very trace amounts of it, so be careful if you’re sensitive! However, they’re not made with wheat and it’s sweetened with maple syrup, brown rice syrup and honey instead of sugar! Compared to traditional biscottis, these ones are much lighter and airier in texture but they still have a great crunch and mouthfeel to them. They’ve got a great mild sweetness and high fibre with a little cocoa hit that makes them a great mid-afternoon snack when the 3:00 slump hits! I really love salted caramel anything, so when I saw this, I almost squealed. Be warned: it contains walnuts! I didn’t know that it had anything else besides popcorn and salted caramel, so it was a little shock when I took a piece out and a walnut was right in front of me! 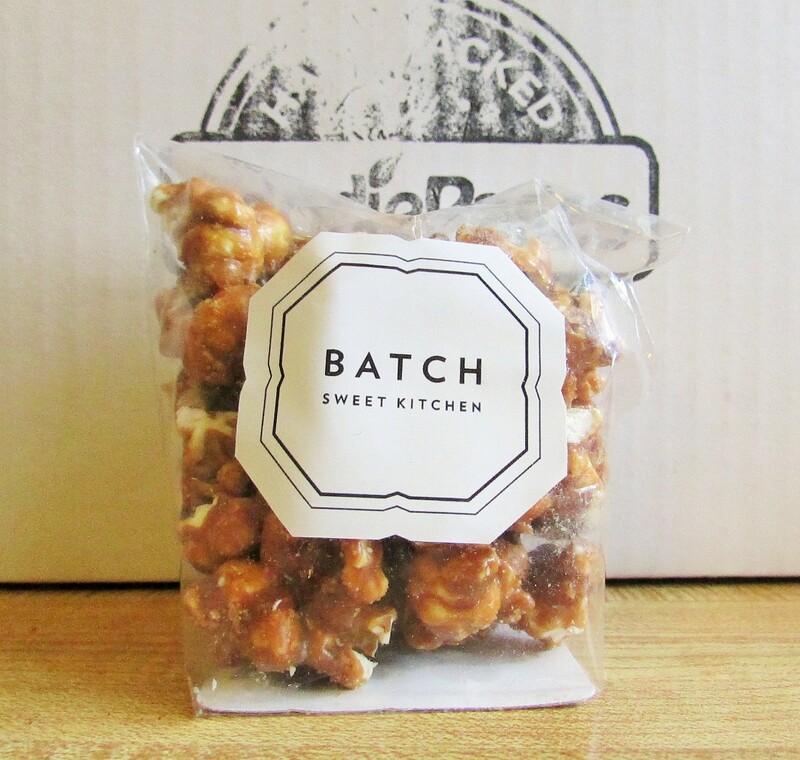 The caramel is really crispy and evenly covers the popcorn so you get a bit of salted caramel goodness in every bite without having to smash the popcorn apart. The combination of that thin layer of crispy caramel, fluffy popcorn and delicious saltiness makes me keep going back for more! I will note that the salt was a touch too heavy in the caramel, so it really brought out the slightly burnt taste that comes out during caramelization. Verdict: I really enjoyed everything in the box, especially the salted caramel popcorn and the pomodoro sauce! But, I think I would’ve wanted to see a bit more variety. April’s box contained two tomato-based products and two treat-like things. I’m looking forward to see what May brings! Did you get the April Tasting Box? What did you think about it? I got a small bottle of cold-pressed sunflower oil in my March Tasting Box from Kricklewood Farms and I thought that it’d be best to try out the flavours of it in a delicious quinoa salad! Another reason I love quinoa salad is because it’s already packed with easily digestible proteins, it’s gluten-free, and has a bunch of other nutrients like calcium and magnesium that helps maintain a balanced diet. It just has a very, very slight bitterness when it’s cooked because of the saponin it produces as part of its defense mechanisms in the wild. I know, most North American quinoa is thoroughly washed before packaging, but palates as sensitive as mine can still detect it! I firmly believe that anything can be added into a quinoa salad and it will come out delicious, as long as you like the flavours that you add in. 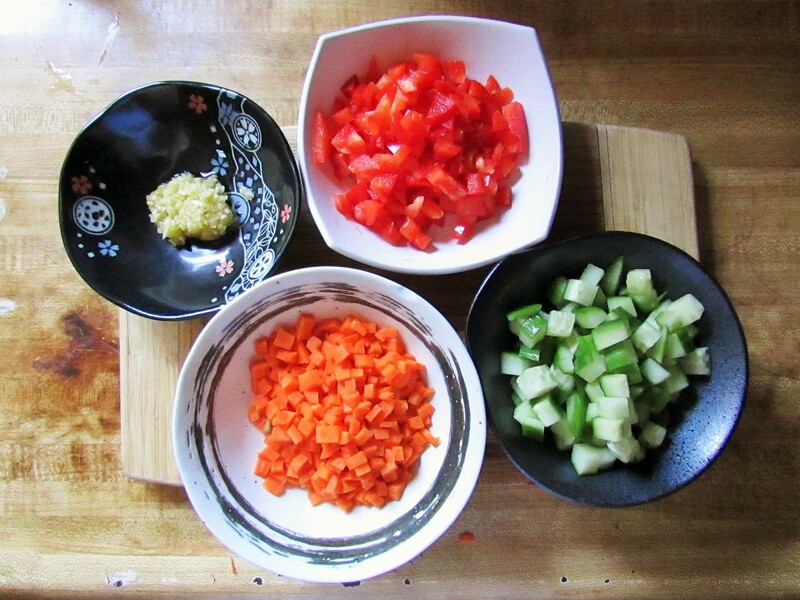 Today, I decided to put in some diced carrots, red bell pepper, cucumber and a boiled egg! So, where did I use the sunflower oil? First, I used it to roast the quinoa a bit with some diced garlic. I also used the sunflower oil to cook my diced peppers and carrots! Finally, I used about 2 tbsp of the oil in my dressing! I used some rice wine vinegar, a bit of red wine vinegar, pinch of sea salt, freshly cracked black pepper and just a touch of sugar to help round out the flavours. I really wanted the quinoa and oil to come out instead! It’s a great salad to have either warm or cold and it would taste even better with a bit of fresh chopped herbs and a glass of dry cider! 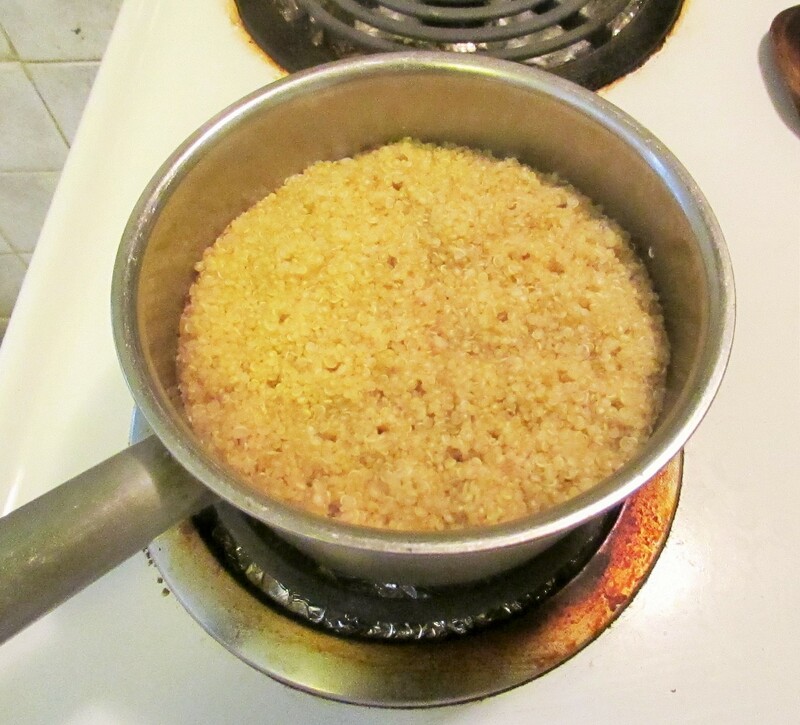 I like to use a 1:1.75 ratio for my quinoa to chicken broth ratio because I like more of a textured bite to my salads. Usually, recipes call for a 1:2 ratio. The sunflower oil has a very mild taste that gets along with almost every flavour and I think it can be used in any culinary application in place of vegetable oil or olive oil! It even has an incredibly high burn point, as I accidentally discovered when I got distracted while cooking the veggies. 1. Add 2 tsp of sunflower oil into a small pot on MED heat. Gently saute 1 tsp garlic until fragrant. 2. Add quinoa into the pot and stir until all seeds are covered in oil and lightly cooked, about 30 seconds (if that). Add chicken broth into the pot and stir. 3. Turn heat to HIGH and let it come to a boil for a few seconds. Then, turn the heat back down to LOW and let simmer, while covered, for 15 minutes. Once cooked, fluff with a fork (like you’re trying to separate the seeds by combing them with your fork). 4. 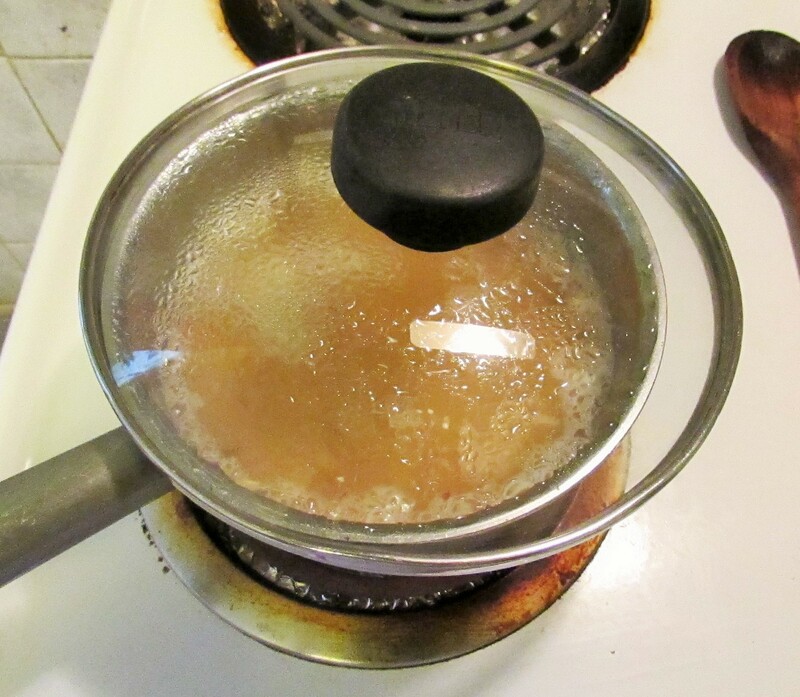 Add 2 tsp of sunflower oil to a separate pan on MED-HIGH heat. Saute remaining garlic, carrots and bell peppers until cooked but not soft, about 10 minutes. Season with salt and pepper to taste. 6. 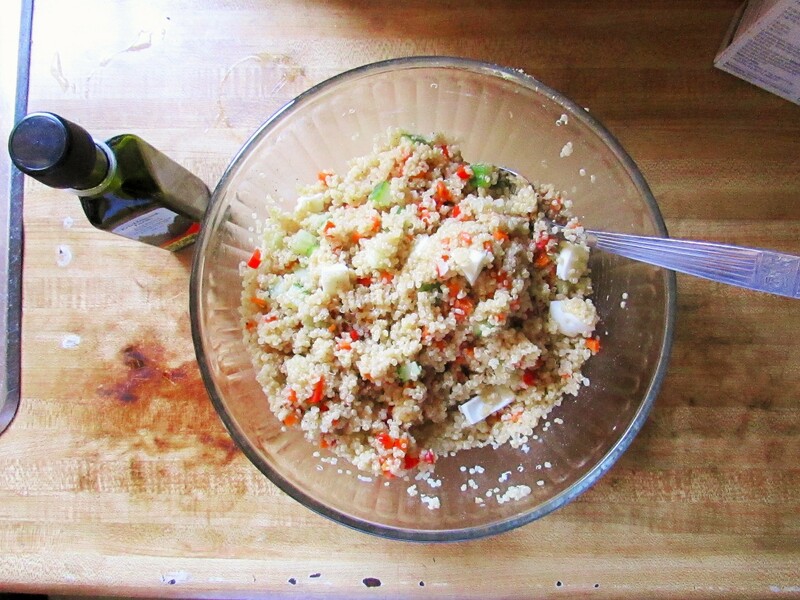 Mix together cooked quinoa, carrots, bell peppers, cucumber, boiled egg and dressing. Serve warm or cold. Next time, I’m adding a bit of goat cheese into my salad for that extra bit of flavour! 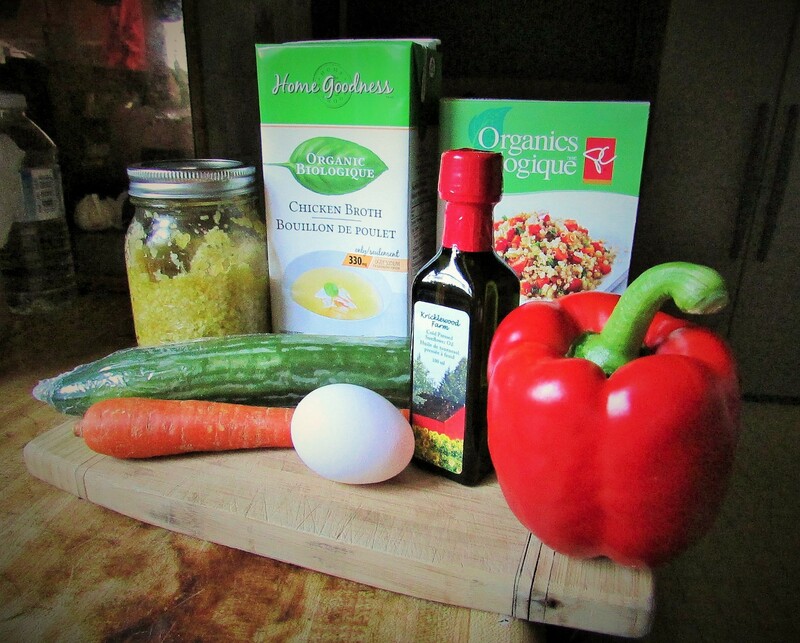 What would you add to your quinoa salad? KURIOS: A New Show by Cirque du Soleil! It’s a steampunk-inspired Cirque du Soleil show that’s coming to Montreal, Quebec City and Toronto later this year. Step into the curio cabinet of an ambitious inventor who defies the laws of time, space and dimension in order to reinvent everything around him. Suddenly, the visible becomes invisible, perspectives are transformed, and the world is literally turned upside down in a place that’s as beautiful as it is mysterious. KURIOS – Cabinet of Curiosities is an ingenious blend of unusual curiosity acts and stunning acrobatic prowess from Cirque du Soleil. Let KURIOS show you that anything is possible through the power of imagination. Right now, they have a promotion on Facebook where they’re giving out 250 pairs of tickets! All it requires is 30 people to enter through your link for them to mail a pair of tickets to you. It sounds like a lot, but it’s worth a shot! I’ve never been to a Cirque show that hasn’t been completely worth the admission fee.